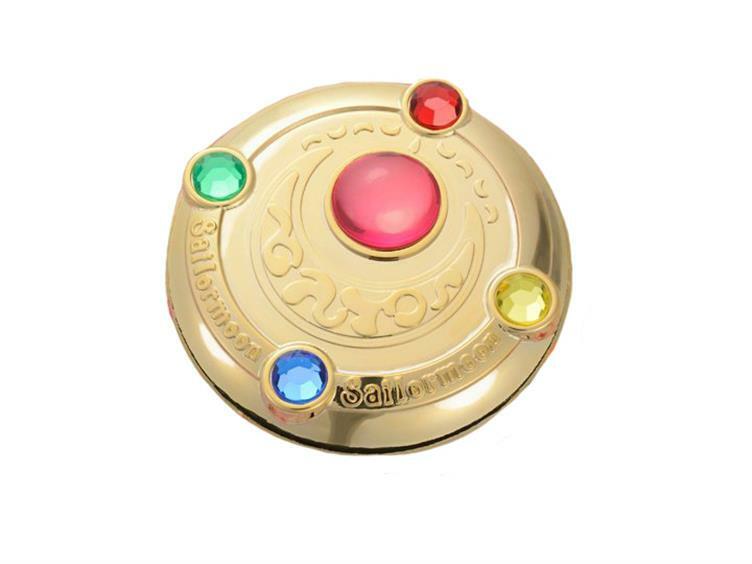 Size : 2.65" x 2.65" x 1.4"
This Transformation Brooch Mirror Case is from the Moonlight Memory Series line that replicates the toys from the 1990s. 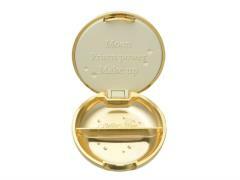 This compact case is painted with gold plating and is covered in colorful rhinestones. 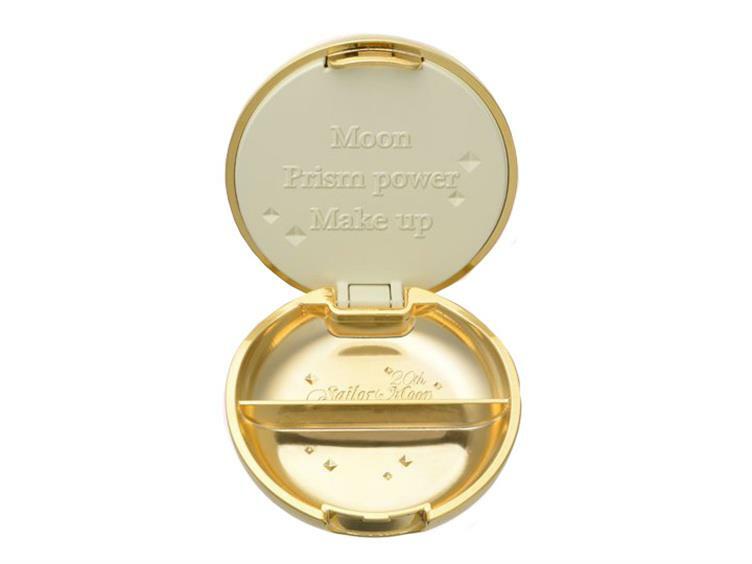 When you open the lid you will find a glass mirror on the inside of the lid and a replica of a bottle of nail gloss in the base. This replica bottle can be removed to reveal an inner compartment with a lid that is embossed with "Moon Prism Power, Make Up", Usagi's original transformation phrase.